happy valentine’s day! in lieu of flowers, please accept this peek into Shu Uemura’s Spring/Summer 2015 Metallic Bouquet Collection! Metal: Ink Liquid Eye Liner comes with a sponge tip applicator. 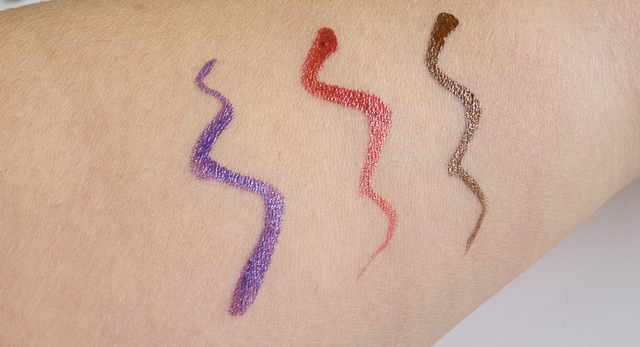 usually, i dislike these as they can be too hard and sharp and create an uneven swatch of pigment. however, Metal: Ink Liner’s applicator is soft and very flexible. it’s very comfortable to use and can create either a very fine line or a thicker line by varying the pressure during application. pigmentation and glitter goes on very evenly. you’re not going to get a lot of glitter on one end and two specks on the other. in two swipes, i have a pigmented line that i’m very happy with. 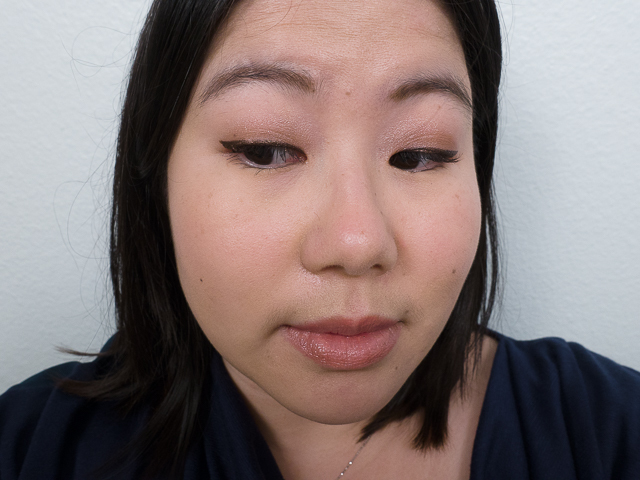 Shu Uemura really hit it out of the park with these liners both in formulation and in color offerings. the packaging makes it easy to tell which color is which too. there is a color band at the bottom of the liner and a matching colored top on the applicator. today, i have ME Purple, ME Brown, and ME Red to show you. Metal:Ink ME Purple is a nice blue toned purple with light blue glitter running through it. it works well to add interest to a soft, casual look but works equally well with a dark smokey look. Metal: Ink ME Brown is a great way to amp up your neutral look. it’s a warm chocolate brown with gold sparkles running through. the last color i have to show you is a very unusual choice for me. i figured my stash needed a little shaking up, so my third choice was ME RED. 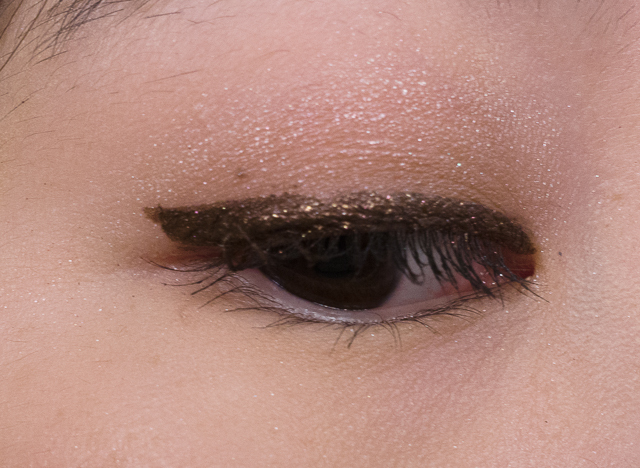 it’s a true red glitter liner that’s surprisingly easy to wear. 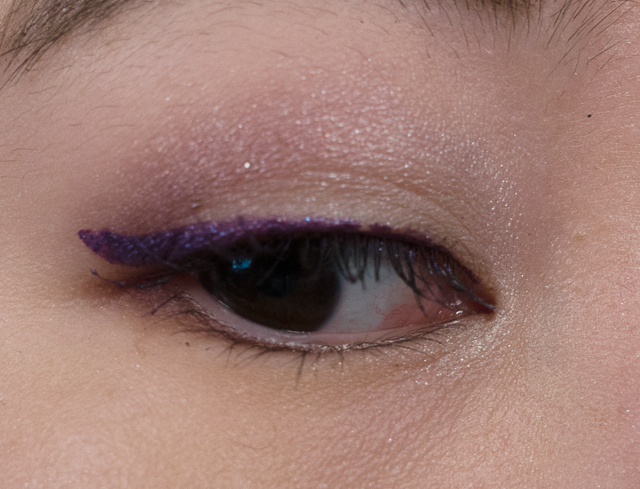 i was afraid that it’d make me look bruised or pink-eyed, but it’s actually fun to wear. here it is over a light orange shadow, so you can see it pretty much true to color. below, i worked it into a smokey look. 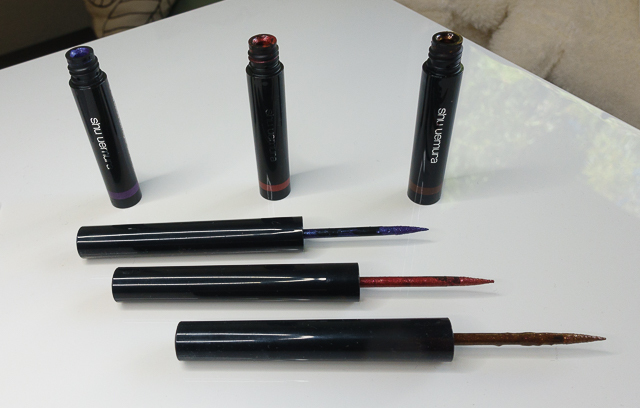 so i hope you enjoyed this look at the Shu Uemura Metal:Ink liners. although they’re a bit pricy at $29, i love how they perform and look. if you’re looking to splurge on a seasonal collection, i think these liners are very worthy of your consideration. most of the colors offered are colors that will work any season, so you’ll be adding a workhorse into your collection, rather than something that will be put away after a season or two. i’ve also started an instagram account. i’ll be posting pics of looks you see in posts taken outside in case you want to see them in a different lighting. you can see the look for ME Purple and ME Brown there now. i’ll also start posting looks for post as i do them so check it out if you want a sneak peek at what’s coming up! Readers, what’s your go to romantic look? do you like neutral or colorful liners? 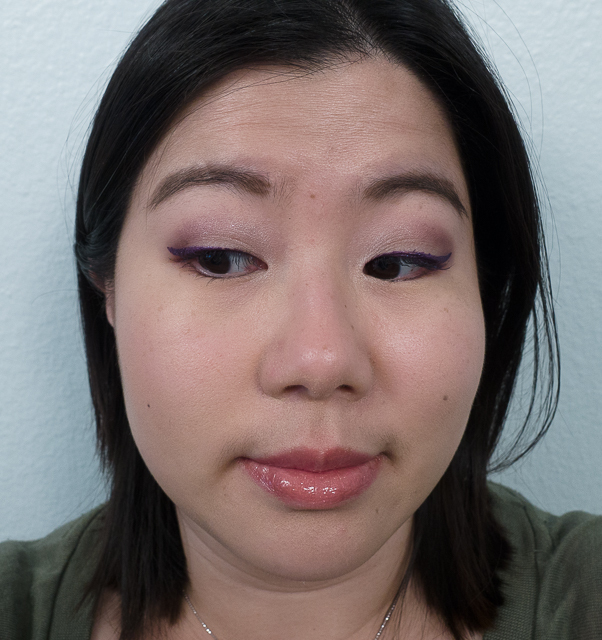 I can’t work with liquid liners like these at all, but the purple and the brown really speak to me! Kudos for pulling off the red as well! I didn’t think that’s humanly possible, but you nailed it! thanks, Sunny! but I can’t take credit. 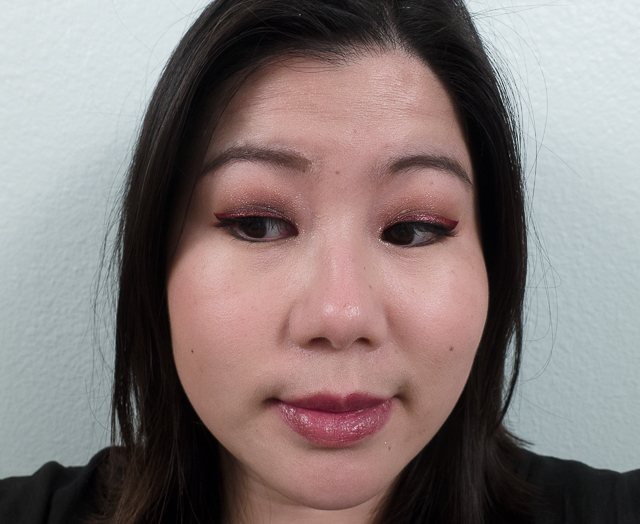 Shu Uemura just made a really easy to wear red. 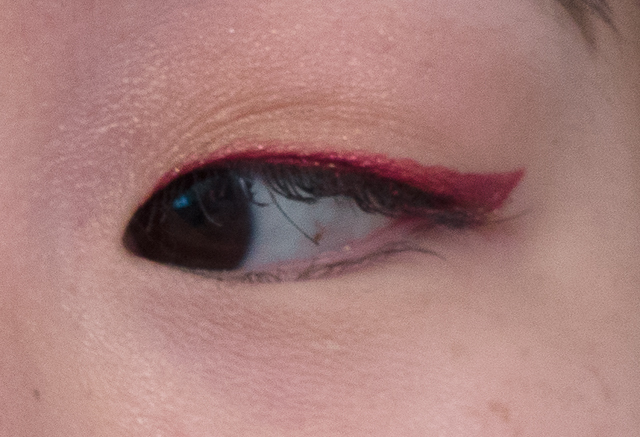 I have pinks in my stash that are harder to wear than this red liner! drop by a counter and play with them. you’ll realize how easy that applicator is. I usually can’t use this type either. the tip is flexible so it works almost like a brush applicator! thanks, Jaa! the brown is definitely stunning. my favorite is probably the purple though. I think it’s the perfect balance of fun but still versatile enough to use in most looks.